Are you looking for a caterer in the Louisville area? 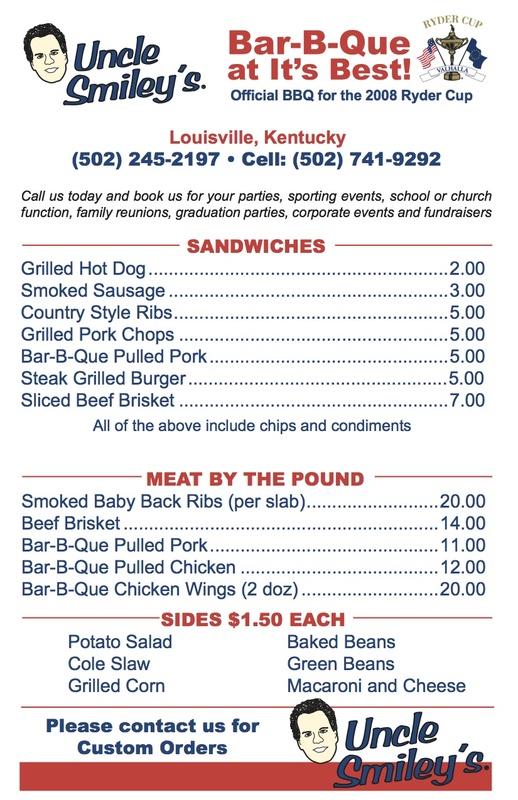 Uncle Smiley's is available for parties, sporting events, school or church function, family reunions, graduation parties, corporate events and fundraisers. Call us today and book us for your event!